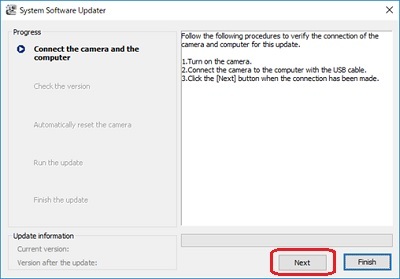 Download the Update_FDRAX700V101.exe file to a temporary or download directory (please note this directory for reference). 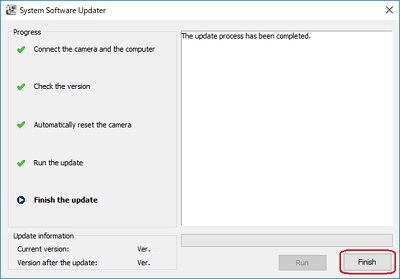 Go to the directory where the file was downloaded and double-click the Update_FDRAX700V101.exe file. 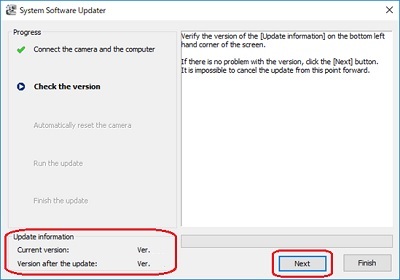 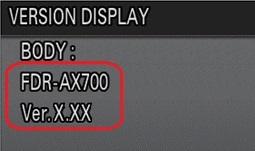 Note: If the current version is 1.01 or higher, your camera does not need this update. 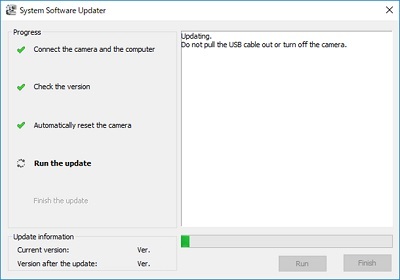 Stop the USB connection by clicking the Safely Remove Hardware icon in the task tray on the lower right corner of the computer screen, disconnect the USB cable, and click Finish. 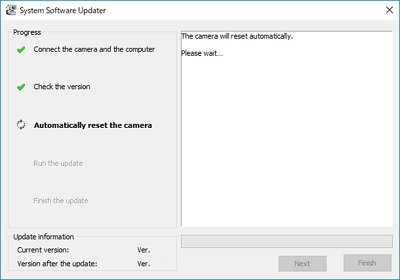 Then turn off the camera, briefly remove the battery pack or the AC adaptor, and then turn the camera back on again.